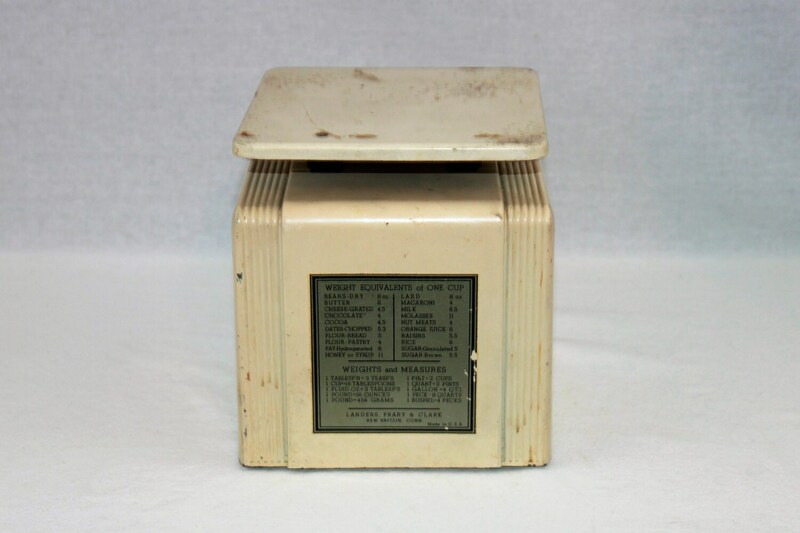 We have for sale a Vintage 1940-50s Landers, Frary & Clark 24 pound Universal Scale. 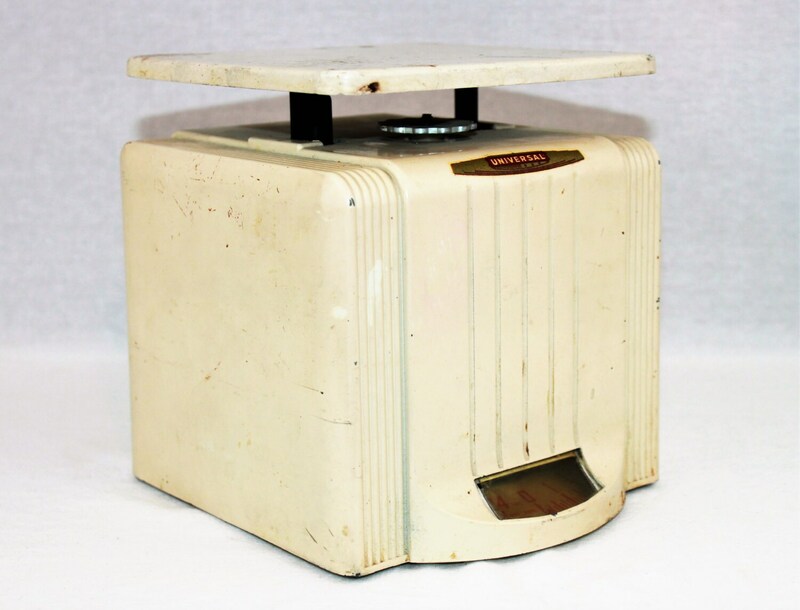 Nice art deco kitchen scale, with lots of decorating potential, perfect for the vintage kitchen. 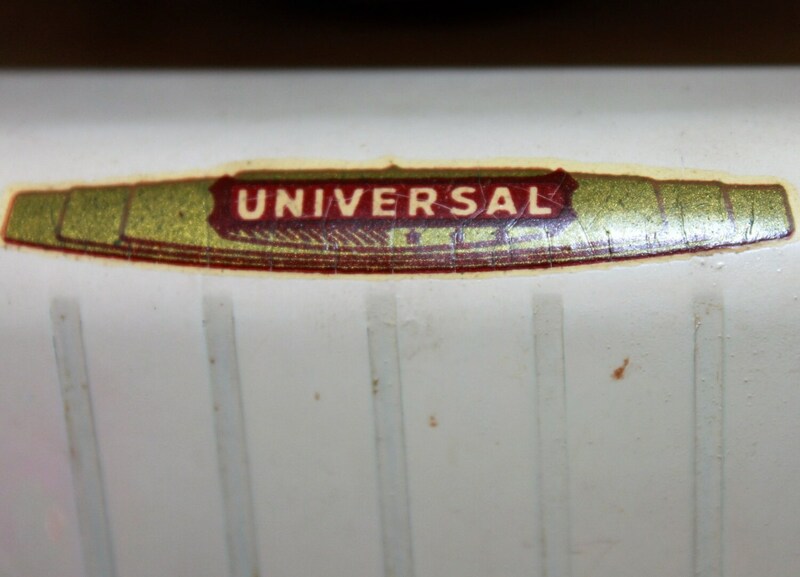 Rear sticker reads weight and measurement equivalents of One Cup. There is a knob just below the weight plate to calibrate the weight when needed. 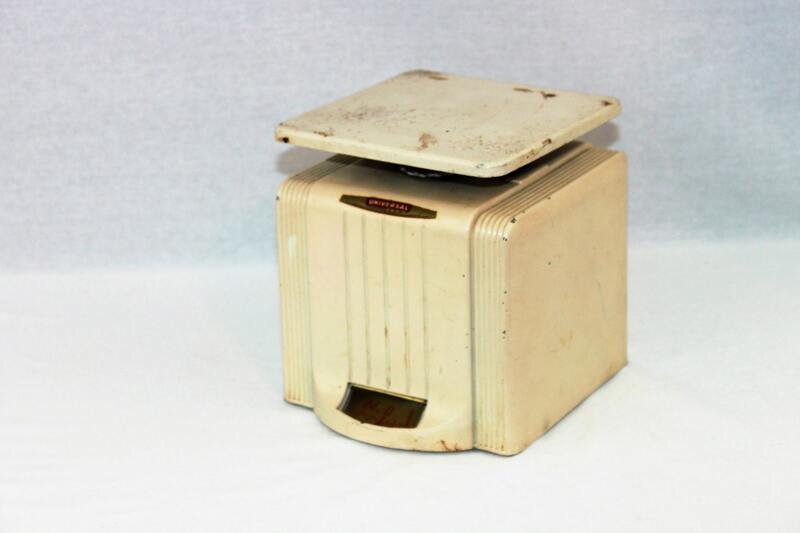 Measures 6" x 6 1/4" x 6 3/4"
Condition is per vintage with scuffs and scraps, scale still works good, not tested for accuracy.